Is this new park the worst in Fresno? 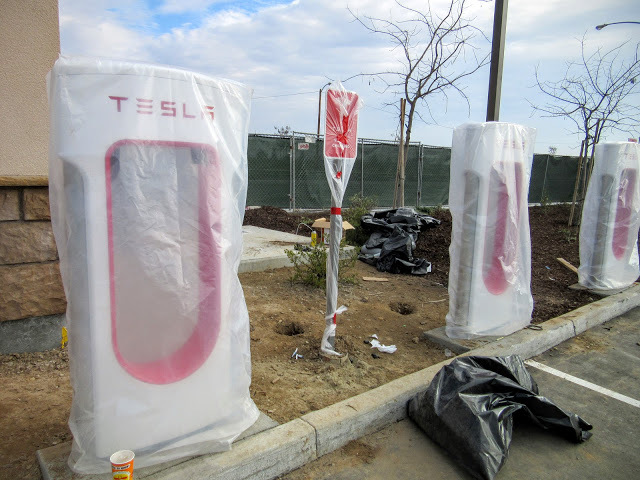 A couple of months ago I went to visit Northwest Fresno to see the new Tesla Supercharger. It’s a part of town I rarely go to, so I made the effort to hit a few other spots and see the progress on bicycle trails and the like in the area. I stopped by point 1 on the map below to see if there had been any progress on the Veteran’s Boulevard Trail, which was approved last July. There wasn’t. Looked the same as it did 10 years ago. Returning to Herndon, I drove up the street and while waiting for the traffic signal, point 2 in the above map caught my eye. A park. With a playground. Brand new. Click to read more! 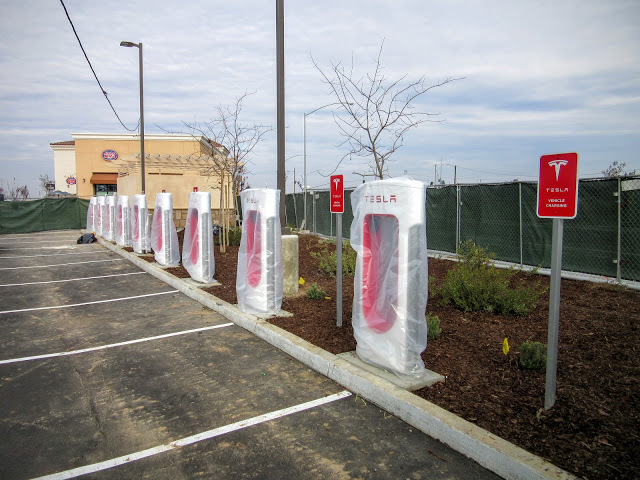 In November I reported that Fresno was finally getting a Tesla Supercharger – high speed electric chargers that can “refuel” a Tesla in 30 minutes. 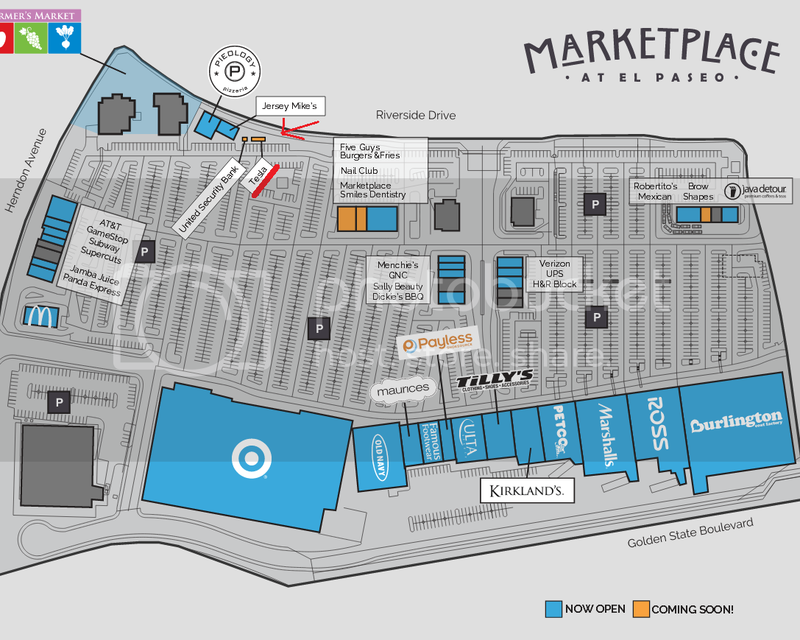 Although originally scheduled for 2015, Tesla missed that goal, although it looks like they’re about ready to open up. 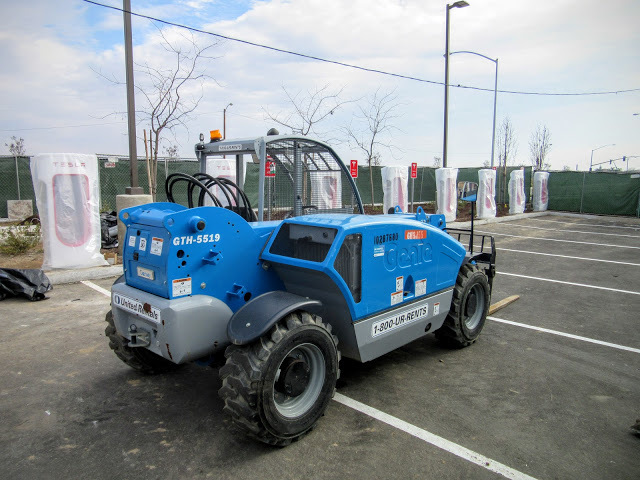 The Supercharger is being installed at Herndon and CA-99, in a new shopping center anchored by Target. Conveniently placed by plenty of electricity, see the green fence in the background? Still some minor work left. Stepping back, you can see the site is currently fenced off. However, note that little shed? (Not the ATM) Click to read more! The Fresno area trail system is growing slowly, but every few months a new contract goes out to bid for a half mile or so here and another mile there. Veteran’s Boulevard Trail, between Hayes and Polk, approved 7/16/2015. Here’s an interesting one. 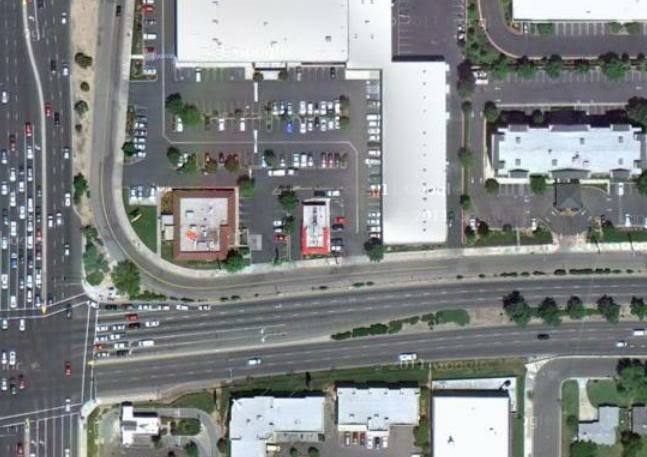 Veteran’s Boulevard is a long-planned 6 lane highway to cut diagonally across the west side of Fresno. 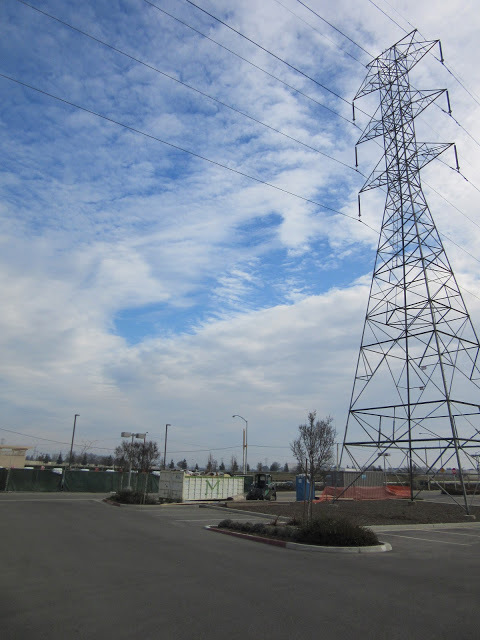 It is currently scheduled to begin construction in 2020, but it looks like a small trail section, which will parallel the highway, will open sooner. Click to read more! 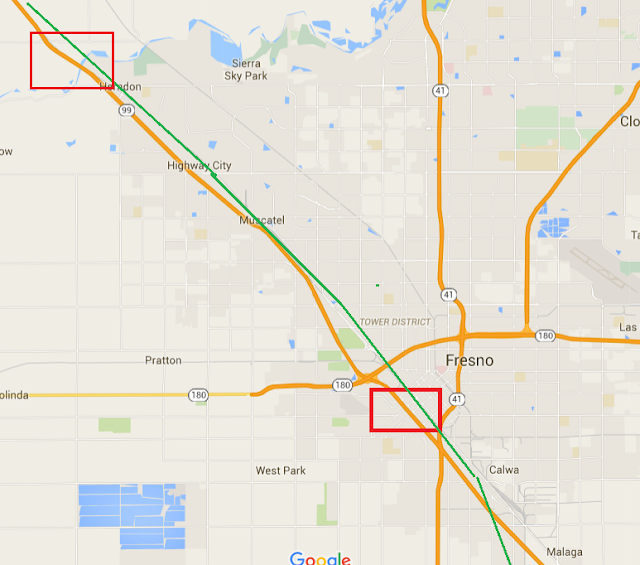 There’s a small improvement coming to the Fresno bike network. 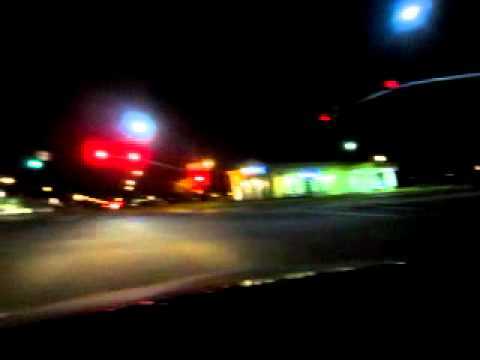 As everyone from Fresno is well aware, if you’re in the north part of town, Herndon is the only way to go east or west…if you have a car. 6 lanes of 50mph traffic might get you across quickly in a motor vehicle, but it’s an obstacle by bike. Sure, it’s legal to bike on Herndon, but no one would ever actually do it. The streets to the north of Herndon are calm and quiet…but they don’t really connect. You can always go south, but that’s a .5 mile detour just to get to the next road. The city is attempting to solve this issue by creating a multi-use path on the north side of the avenue. Why wasn’t it built when the six lanes of asphalt were? I don’t know. But for now, every year some money trickles in which is used to fill in gaps. Click to read more! I’ve been planning on writing a post about how building bigger streets can actually slow down traffic. A central point of that post will be how bigger roads require lengthier traffic signal cycles. I got lucky, or shall I say, unlucky, the other day as I found myself driving home and yet again getting stuck at Herndon and Fowler. Mind you, it’s not really luck. As I’ll talk about later, the wider the road, the more likely you’ll get red…. There is a signal here that is not working properly, and while I reported it to the city back in January (the 7th), no change was made. Click to read more! 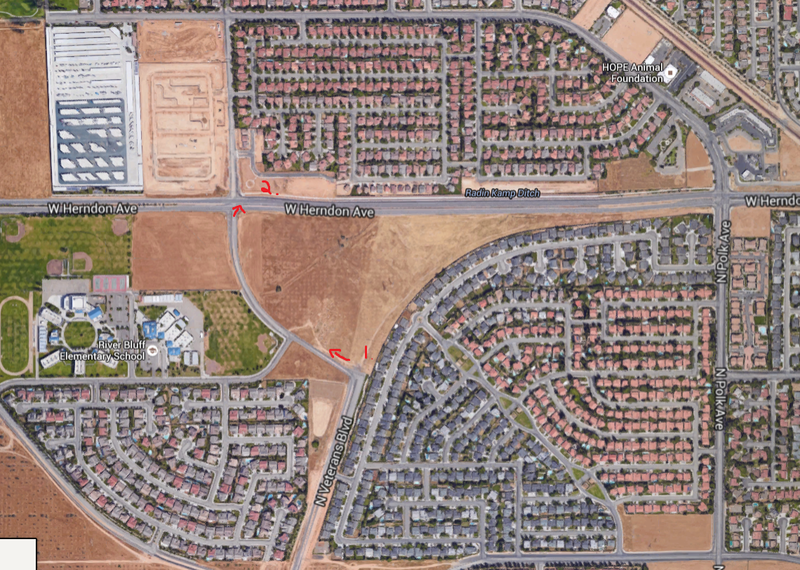 A frontage road with a frontage road…? 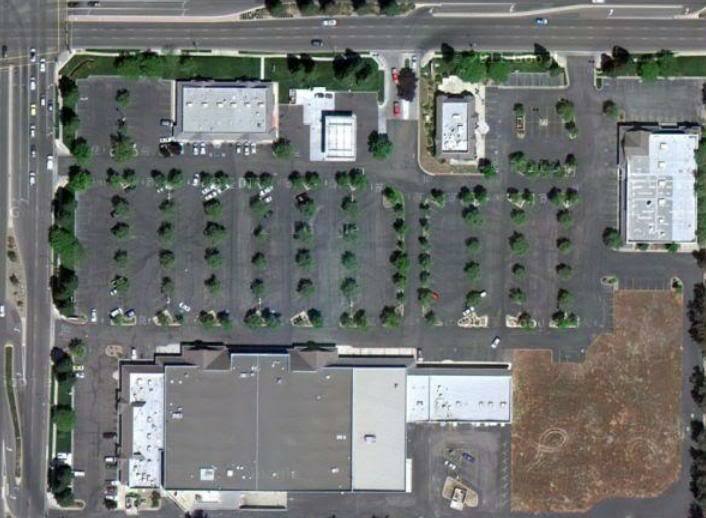 I was using Google Maps the other day to find the location of an office, as I had a medical appointment to get to. The office was located off Herndon, a street Fresno has developed into a limited access highway. There are no driveways or mid-block turns on Herndon, the only way on and off are at intersections .5 miles apart. So to get to the medical office, I was looking to see the best intersection to turn off. That’s when I noticed something quite odd, and very wasteful. A triple road. Sections of Herndon were developed with a “frontage road” which is where all the driveway entrances are, and where street parking is allowed. 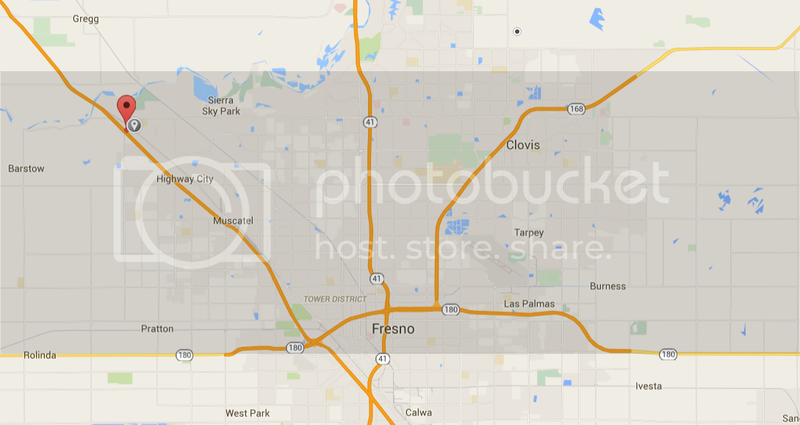 This isn’t surprising, as Fresno has many frontage roads. I’ve always thought them to be a waste of space and money, but oh well. Mind you, as far as I can tell, frontage roads are a thing of the past and are no longer being developed. Click to read more! As I mentioned yesterday, Clovis is holding community meetings on ways to revitalize the Shaw corridor. Today, I will discuss the problems facing Shaw. Before attending the meeting, I was baffled about how they’re being held just weeks after development began on a massive new commercial center just two miles north. I wondered if those in charge were failing to draw the connection between approving new development elsewhere and the abandonment of existing retail corridors. Tomorrow, I will write about the meeting itself, and what the Clovis planners said. 3) Approval of new development elsewhere Click to read more!